While a healthy balanced diet often provides a source of vitamins and minerals, taking dietary supplements on top of your healthy diet may prove beneficial in ensuring your body may be the nutrients it needs each day. Dietary supplements, which are not regulated by the Food and Drug Administration, are marketed as a solution or preventative measure for a number of disorders, or to supplement nutrients lacking in your diet. 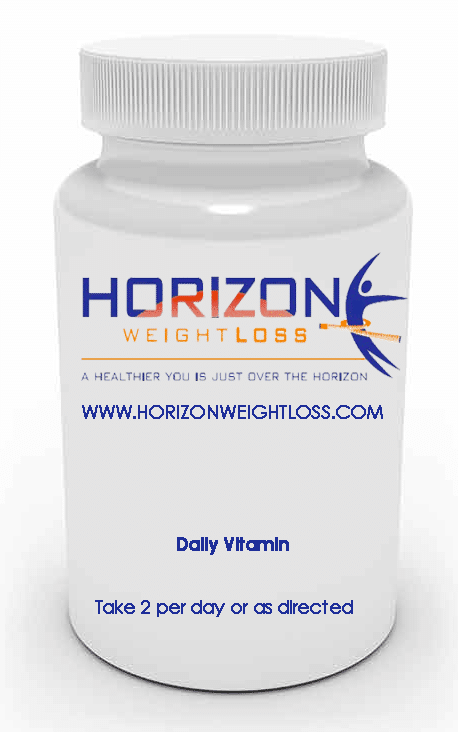 To safely reap the benefits of taking dietary supplements, your Horizon Weight Loss doctor will consult with you before taking any supplement to help avoid negative side effects and to be sure you get the most out of the recommended supplements. You will find your recommended Horizon Weight Loss supplements to be of the highest quality. Chromium is a naturally occurring mineral that is necessary for the body to metabolize the carbohydrates we consume. It is necessary for insulin to work correctly so we have the lowest insulin levels in our bloodstream possible. As we age we ingest more and more white carbs and we intake less chromium. Studies have shown that many overweight persons are low in chromium. This may contribute to insulin resistance and block weight loss. Many feel that chromium may help somewhat with sugar cravings. We use the form of Chromium called chromium polynicotinate. Chromium is bonded to the vitamin Niacin forming what is called Glucose Tolerance Factor. Chromium picholinate is a popular form of chromium bound to picinolinic acid. In this form the picinolinic acid must be broken away from chromium and bound to Niacin in the body. Therefore we prescribe the form already bonded to the niacin. How to take: Take 2 per day. Preferably one in the morning and one in the evening. Horizon Weight Loss consulted our pharmacy to develop MIC-Lipo capsules based on our observation of current weight-loss protocols which include MIC-Lipo treatments. MIC is short for Methionine, Inositol, and Choline. These three nutrients together are called “lipotropic”. Lipotropic nutrients play an important role in the breakdown and metabolism of fat in the body. These compounds enhance the liver and gallbladders role by decreasing fat deposits and speeding up metabolism of fat and its removal. Lipotropic nutrients are also used to maintain a healthy liver. 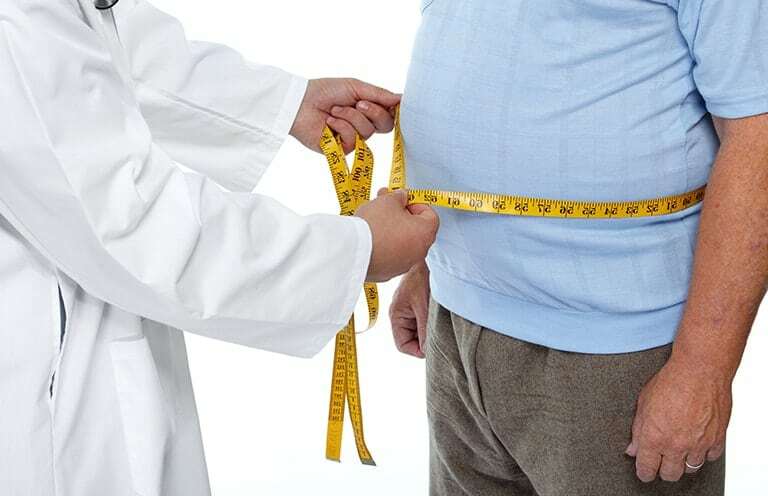 Medical clinics which specialize in lipotropic nutrients can create a specific formula, also known as MIC Combo, which has proven to be an effective aid in total fat loss. Methionine, Inositol, and Choline are the three ingredients which form MIC. MIC is the foundational ingredient within our MIC-Lipo Capsules. MIC-Lipo has been shown to significantly assist patients in fat loss that are eating a low calorie diet. How to take: Take 2 capsules daily. Preferably with your first meal of the day. Multivitamins are an important part of any weight loss program. It is important to supplement the vitamins and minerals you may not be getting when eating a restricted diet. This is very important to maintain a healthy immune system, mood, and energy level. Research shows it can also help promote weight loss. In a new study of more than 85 obese women in China, those who took a multivitamin (with 29 vitamins and minerals, much like a “one-a-day” you find on store shelves), while continuing to eat their normal diets, lost an average of about three and a half pounds over six months. Those who took a placebo lost nothing. The findings, reported in February 2010 in the International Journal of Obesity, add to a growing field of research that links vitamins and minerals to weight loss. A study published in 2008 in the British Journal of Nutrition, for example, found that dieting obese men and women who took a multivitamin and mineral supplement lost the same amount of weight as dieters who took a placebo during a 15-week calorie-restricted eating plan. But the female supplement-takers reported feeling less hungry, said lead author Angelo Tremblay, Ph.D., an obesity researcher at Laval University in Quebec City. Being less hungry might make it easier to keep the weight off, says Tremblay. Essential is a medical term meaning the human body cannot make it; therefore we must consume it in our diet. We have three essential nutrients, water, 9 amino acids found in proteins, and 2 fatty acids called the Omega 3 and Omega 6 fatty acids. The fatty acids are building blocks of every cell wall in our body. These are important in every function and chemical reaction. These are important in metabolism, immunity (fighting infection), skin health, heart health, controlling cholesterol, mood swings, and most importantly for us, helping to control our weight. The average American diet is low in Omega 3 EFA. Studies of rates of heart disease suggest a direct correlation between low EFA consumption and high insulin levels resulting in heart disease, and obesity. The less we control our insulin the more EFA we need. The usual American diet is so high is Carbohydrates (sugars) that the current levels of EFA intake are not enough. Fats and oils (canola, soybean, Flax seed, wheat germ). Fish and shellfish, fish oils. Vegetable oils corn and sunflower seed oils. Fish oil capsules supply our EFA needs. We suggest 2000 to 3000 mgs of fish oil capsules daily. Remember, heating oils removes the benefits. How to take: Take 2 per day, preferably with a meal. Gut bacteria is an internal ecosystem that helps your body to function. It’s strongly affected and influenced by dietary factors, which can then impact energy balance and weight gain. ‘Good’ bacteria is thought to work by reducing low-grade inflammation in the cells. You’ve heard that probiotics contain all sorts of nutrients that help you stay healthy. And as it turns out, probiotics could help you lose weight, too, according to a study published in the British Journal of Nutrition. For the study, researchers from Laval University in Quebec instructed 125 overweight men and women to follow a 12-week weight-loss diet, followed by a 12-week maintenance period. Half of the participants also swallowed probiotic pills every day, and the other half got placebo pills. What happened? After the 12-week weight-loss period, the women who took the probiotic pills had lost 9.7 pounds, on average, while the women who took the placebos only lost 5.7 pounds. And then, after the 12-week maintenance period, the women who took the placebo pills maintained a stable weight—but the probiotics group continued to slim down, losing 1.8 more pounds, on average. By the study’s end, the women in the probiotics group also had less of the intestinal bacteria related to obesity in their systems. How to take: Take 2 per day, preferably with a meal. How to take: Take 2 per day. Take one 20-30 minutes prior to lunch and dinner.